BRUSSELS–European leaders agreed to $1.26 billion in funding to fight Ebola in West Africa by the end of the year at an EU summit in Brussels on Friday. Over the weekend the first $254 million was put at the disposal of international efforts, including almost $30.5 million toward the development of a vaccine. “In the case of the Ebola disease, the international community, all of us, underestimated the danger and the extent of the threat,” said commissioner-elect for humanitarian aid and crisis management, Christos Stylianides. 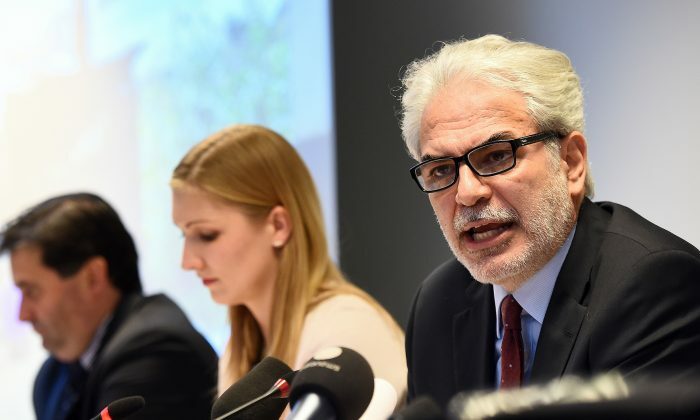 Stylianides is the EU’s new Ebola response coordinator, a decision that also came out of last Friday’s meeting. While the EU has pledged more resources to fight the virus, Claus Sorensen, the director general of the humanitarian department of the EU Commission said the international community should do the same. “There is no real sign that the upward curve has been broken and that is the crucial indicator that this upward curve is suddenly being stabilized and at some point starts going down. We are nowhere near there yet,” said Sorensen. Sorensen and Stylianides both stressed that additional funding and volunteer medical personal are needed in West Africa. Over 4,922 people have died from the virus out of over 10,000 cases, according to the World Health Organization.